Ross Video has the most complete studio robotics offering available, whether you are looking for the unparalleled smoothness of a track-based system, the unbeatable flexibility of a free-roaming pedestal, or the simple efficiency of a standalone pan & tilt head. All Ross robotic systems are designed, developed and manufactured in-house, using state-of-the-art technologies that provide industry-leading accuracy, precision, and payload capacity. Deliver more compelling productions with superior tools and technologies that make your productions come to life and help capture and hold your audience’s attention. Get creative by utilizing the best equipment for your environment with track-based dolly, free-roaming pedestal, or standalone pan & tilt head options. Dramatically increase production efficiency, while delivering superior quality and consistency with accurate and repeatable robotic recalls. Integrate with Ross OverDrive, or other third party automated production control systems, to fully realize benefits of studio automation. Rely on accurate and repeatable tracking data from our integrated absolute tracking systems, and combine with Ross XPression and/or Unreal 4 based real-time 3D graphics to create stunningly realistic Virtual Sets and Augmented Reality, or integrate with an existing 3rd party render engine. Furio is the leading track-based camera system, with over 300 dollies installed in more than 30 countries around the world. Offering unparalleled smoothness, accuracy and flexibility, Furio is the ultimate tool for creating stunning visuals, higher quality productions, and more efficient workflows. With a wide range of pan and tilt heads, Ross Robotics has a model suitable for just about any application, from extremely large payloads of up to 90 kgs (200 lbs) to ultra-quiet, compact heads that are perfect for mounting in smaller studios where space is at a premium; all with industry-leading pan and tilt speeds. In addition to fully robotic heads, Ross also offers the VRzero encoder interface module packaged with Cartoni manual fluid heads to provide accurate virtual tracking data for manually operated cameras. 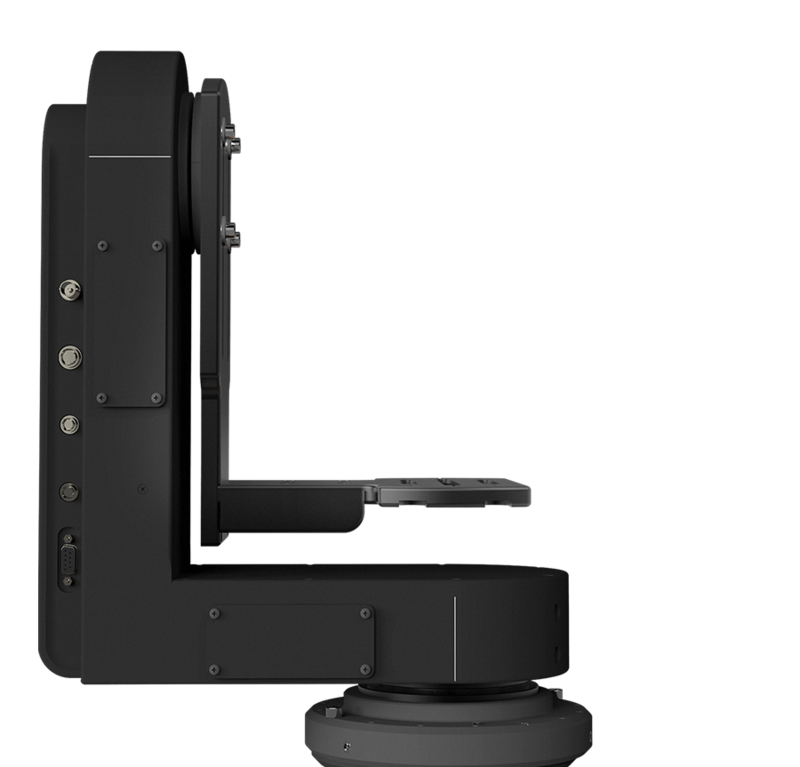 The Ross family of BlackBird PTL (Pan/Tilt/Lift) Pedestals combine robotic elevation with a pan and tilt head for cameras that are typically left in the same floor position for the duration of a show. 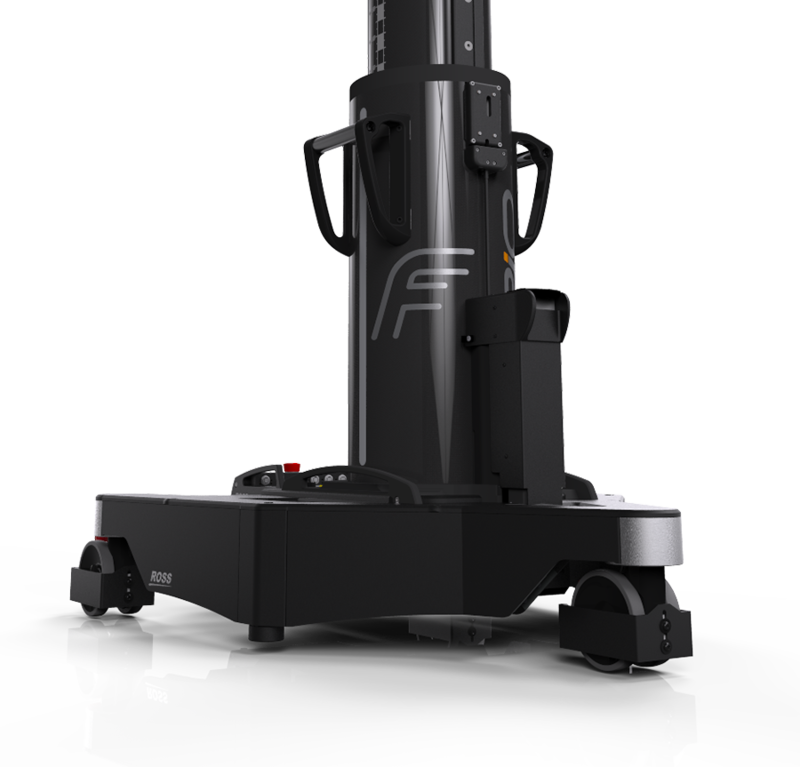 With the ability to produce silky smooth, sweeping on-air dolly shots, which can then be precisely repeated over and over again at the push of a button, Furio allows broadcasters to create more dynamic looks – while also delivering higher quality and repeatability, and lowering operating costs. SkyDolly leverages Furio’s industry-leading technologies to unleash the creative potential of ceiling-mounted cameras. The CamBot family of free-roaming XY pedestals offers three distinct choices to suit a wide variety of studio layouts and capital budgets. Whether you have Furio dollies, free-roaming CamBot pedestals, PT heads or PTL pedestals, all of your Ross robotic systems can be controlled by a common control system using a centralized Ethernet-based architecture.